Characters. They’re my passion in writing. To me, they live and breathe; and it’s my job, as both detective and biographer, to listen for their words and tell the world what they have to say. We see life through their eyes, find ourselves in them; take things from their journey back into our own. Through characters a writer can connect with a reader’s heart and soul — put a spotlight on wrongs that need writing (wow — Freudian slip there), and joys that need highlighting. Almost more than anything else in life, I love exploring opportunities to connect with people through them — even when the character is myself. Plotters like structure. They outline plots and goal plans; they start at the beginning and devotedly work their way through to the end, weighing ongoing inspiration to see if it fits into the overall scheme of things. Ambiguity worries them — they’re not comfortable with starting unless they know what’s going to happen next. Pantsers free-form. They set goals, but broad ones to give themselves room to chase inspiration over the rolling pages of a manuscript. They write “candy bar scenes”  first, and fill in the blanks later. To them, writing is a lively, unpredictable adventure; but, often, they get mired in the doldrums of those blanks they skipped. For myself, I think I’m something of a plotting pantser. (If you say that to someone you’ve just met, it can really be taken the wrong way.) So, I have an idea of what life looks like on both sides of the fence. If we translate this writing concept to the job of creating characters, it becomes similar to the difference between artificial intelligence and divine conception. Both are miraculous, amazing, and unpredictable in their own way. But only one results in life. When we concentrate on the academic exercise of “building a character,” we miss the still, small voice of an elusive being who wants to come to life. Like Pinocchio after the Blue Fairy’s touch; the Velveteen Rabbit after the love of a child, an inanimate form filled with stuffing suddenly wakes up and walks into view. I’m sorry, these guys are alive. No way to dance around that fact. I’ve had characters quit on me (“Find another assassin”), fall in love with unexpected people (“I want the archaeologist, not the real estate agent”), and arise from the background to take over a story (“Thought you were rid of me? Baby, I’m your worst nightmare”). But here’s the thing: this makes our work, as writers, that much simpler. Every single thing you learn from human-to-human relationships, you can learn from a character. What’s their name, who’s their family? Where are they from, what do they do? What do they fear…and what do they want more than anything else in life? Then the crazy details, the ones that seem unimportant but really speak volumes about who they are. Like, what’s the most-used spice in their kitchen cabinet? (Chili for one of my guys; sage for another.) What do they drink? What do they drive? Do they drink and drive? You can make up answers to such questions. But what if the answers are wrong? It’s similar to presuming you know another person’s likes and dislikes without actually studying them. Would you take your new date to a barbecue grill without asking if they eat meat? Buy an outfit for your child without finding out what’s considered fashionable? Not if you value your emotional health. Which brings up an interesting question: What do you know about the character of you? Ever hear the term, “It builds character”? Now we come to real life. Which sometimes has too many character-building exercises. Fictional heroes are great to draw inspiration from; but did you know that you are the most important character you will ever know? I’ve discovered that my life becomes much more interesting when I look at myself the same way I do my fictional characters, when I ask myself the questions I ask about them. What do I need to make me more intriguing to others? How can I express myself so people listen, rather than drop away from boredom? What are my strengths, what are my weaknesses? What are my foibles, the fingerprints of personality that make me uniquely myself? One of the first things writing instruction books tell you is that a character’s unusual qualities are what make them most interesting. Jack Sparrow’s tipsy flamboyancy; Elizabeth Bennet’s wit; Sherlock Holmes’ penchant for details; Princess Leia’s hairdos. We remember them because they’re out of the ordinary. The truth is, everyone is out of the ordinary — a lot of people just haven’t discovered it yet. Lately, my answers to that have been “run a 5k,” “study sign language,” “learn to drive a stick shift.” (Done, in progress, Lord-help-me-and-the-other-drivers-on-the-road.) I figure, if I’m not working on something that makes other people go, “Say what?” I’m not doing everything I’m capable of doing. Whether you’re a blogger expressing your voice to the world, or a parent setting an example for your child, you can be that fascinating main character in the story of life. Every experience, every unusual interest or attribute you have can be as inspiring to others as the ones that flit across the silver screen. And whether you know it or not, you have them. For an example of this, I always think about my parents. In his teens, my dad hopped freight trains, nearly electrocuted himself with engineering experiments, and fixed cars at a small-town gas station. In his 20′s, he joined the Army, where he made sergeant, jumped out of planes, and rescued an organ grinder’s monkey. He drove a BMW motorcycle across the US, rode a bicycle across Scotland, didn’t get swept overboard during a storm on the Atlantic, and did get pretty sick on menudo in Mexico. He learned Morse code and German, and later became the chief engineer of a major Chicago railroad (civil engineer, not “engineer, woo-woo?” as someone once asked). He eventually left that position to start a children’s furniture business. Among other things, he now works part-time as a substitute teacher. As a teen, my mom knew how to tapdance, twirl a baton, and perform water ballet. Pursuing jobs that ranged from babysitter to secretary, she worked her way from grade school to college in Chicago. Tall, blonde, and gorgeous, she was offered jobs as a model and newscaster. Instead she went to work for the railroad, distributing freight cars around the country — a “woman in a man’s job” in the 1960′s. She helped support her parents, surpassing her dad’s railroad salary. She traveled across the US on a train, swayed through an earthquake in Acapulco, and inadvertently got caught in the 1968 Democratic National Convention riots. In years to come, she would work as a payroll clerk and act as caregiver to a parent with dementia. Today she’s a life coach and substitute teacher. It’s okay to be different. It’s great to be out of the ordinary. What’s life for, if not for living fully? And there are no boundaries. I haven’t mentioned my characters’ soul-wrenching secrets, my own personal struggles, or my folks’ pain, sorrow and hardships. But those things exist. How many books or movies show a protagonist overcome his darkest hour to save the day? We relate to that, because we all have our own weaknesses, our own obstacles. Whether we write the stories or read them, we want to save the day. And the good news? Through the pages of a novel, the pixels on a blog, or the moments of your life, you can. So start filling in the blanks — ask questions, and listen for the answers. Create a character to remember. About the Author: Christine Taylor (aka mousewords) is a California writer, artist, and social media consultant who believes life is filled with mystery, adventure, and dreams come true. After surviving carbon monoxide poisoning, Christine and her sister Stacy used their experience to inspire a mystery novel, The Rosewood House. Christine Twitters @mousewords and blogs at Mousewords, where she rarely writes about herself in the third person. Prachi Car Rental is one of the leading service provider in delhi of luxury feet tempo travellers rental services. 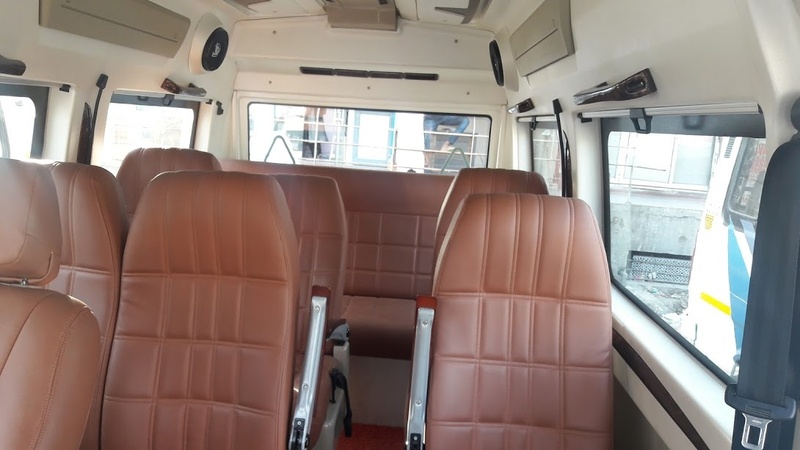 We have large tempo traveller like 9 to 26 seater with pushback seat, modified luxury tempo traveller, sofa tempo traveller and have more than 20 number of modified luxury tempo travellers. Travel Point India is one of Delhi based travel agency which offer tour packages rental services. 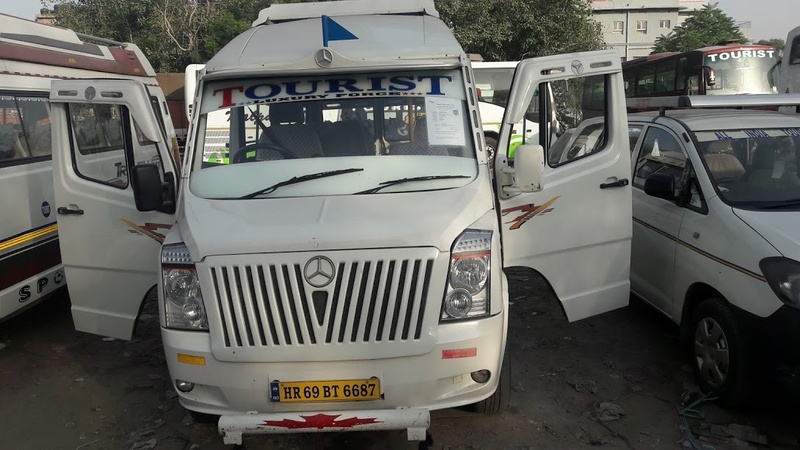 Hire tourist tempo traveller on rent, car rental and hotel booking services for all major tourist spot of nation for rent. Hire Travel Point Indiaal services in 9, 10, 12, 15, 17, 20 seater on rent. Travel Point India was established by Mr. Mukesh in the year 2010 and known as reliable company for tourist. Hire 9 to 20 Seater luxury vehicle on rent. No wonder Travel Point India called one of top ten traveller agency of Delhi. We are special in 9-20 Seater Travel Point Indiaal services in delhi, gurgaon, ghaziabad, faridabad,ncr. Travel Point India has large fleet of luxury modified tempo traveller for rent the royal journey. 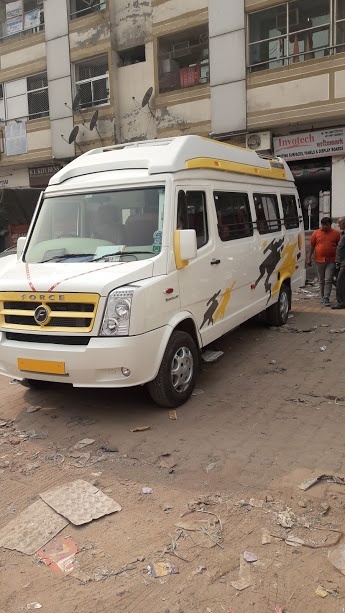 We have Luxury Ac tempo traveller for rent all type of group for tourist hire such as 9 to 20 seater tempo traveller in delhi, gurgaon, ghaziabad, noida, ncr for rent. LUXURY TEMPO TRAVELLER ON RENT HAVING NUMBERS OF LUXURY TEMPO TRAVELLER WITH PUSH BACK SEATS. WE ALWAYS BELIEVE TO GIVING OUR CLIENT GOOD SERVICES WITH WELL CONDITION VEHICLE. WE PROVIDE. 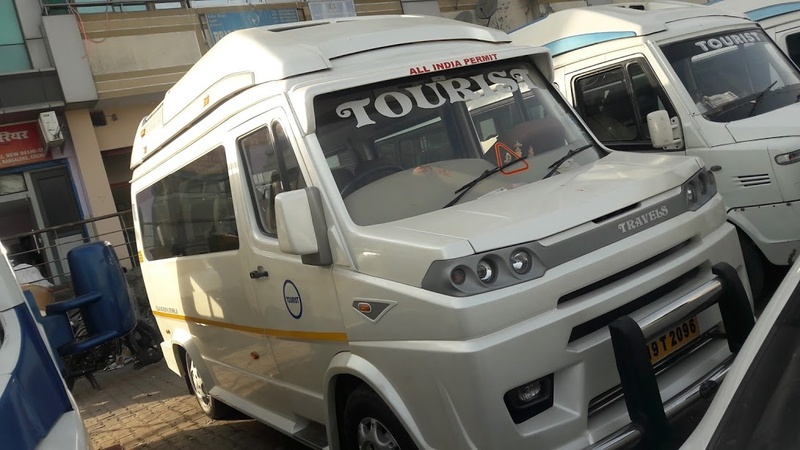 WE PROVIDE VEHICLE SERVICES WITH TOUR PACKAGES LIKE RAJASTHAN TOUR PACKAGE WITH TEMPO TRAVELLER, SHIMLA MANALI TOUR PACKAGE, SAME DAY AGRA TOUR PACKAGE, CHAR DHAM TOUR PACKAGE, MATHURA VRINDAVAN TOUR PACKAGE, EVERY PACKAGES ASSOCIATED WITH VEHICLE SERVICES WITH LUXURY FEET TEMPO TRAVELLER WITH ANKLE SPACE. WE HAVE 9 TO 26 SEATER TEMPO TRAVELLER FOR OUTSTATION FOR ENTIRE INDIA. LUXURY TEMPO TRAVELLER ON RENT OFFERS RESONABLE PRICE FOR VEHICLE HIRE, YOU CAN HIRE AS PER KM BASIS OR AS PER PAKCGAE ALSO. WE PROVIDES VEHICLE RENT SERVICES FOR LOCAL SIGHTSEEING , HOTEL DROPING/PICKUP AND AIRPORT TRANSFER.